2 Bedroom Flat For Sale in London for Offers in the region of £700,000. 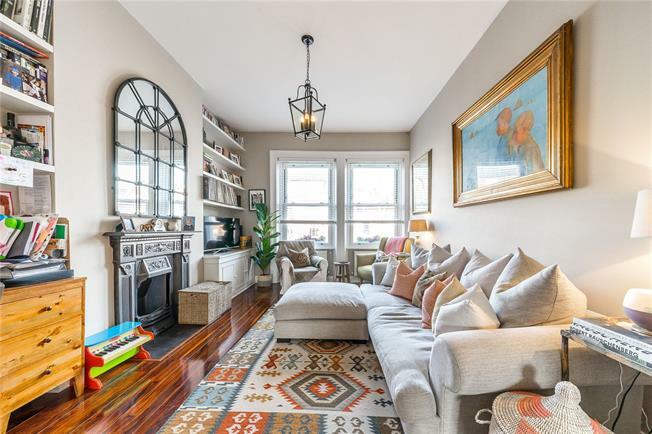 A beautifully presented two bedroom flat on the first floor of a handsome period conversion, just a few hundred metres from Crouch End Broadway and in close proximity to schools. The dual aspect open plan kitchen, dining and reception room has lots of natural light, along with a mass of walnut wood flooring throughout. The eye catching bespoke ‘Funktional’ kitchen includes high end appliances and island unit as well as excellent storage. Both of the bedrooms are good size doubles and have bespoke fitted wardrobe space, whilst the bathroom has a contemporary feel with white high gloss finishes large separate walk in shower. Cecile Park is a quintessential Couch End residential street, with smart red brick Victorian terraces and tree lines. Crouch End Broadway, with its numerous attractions and diverse ranges of places to eat, shop and drink, is just a few hundred metres. Nearby schools include Coleridge and Ashmount. Bus links and stations at Finsbury Park and Haringey provide swift access into the City and West End. Our sellers advise there is no formal service charge and a £50 contribution per annum for buildings insturance.